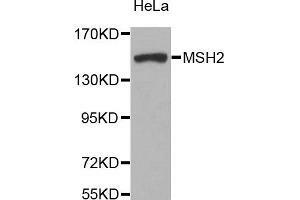 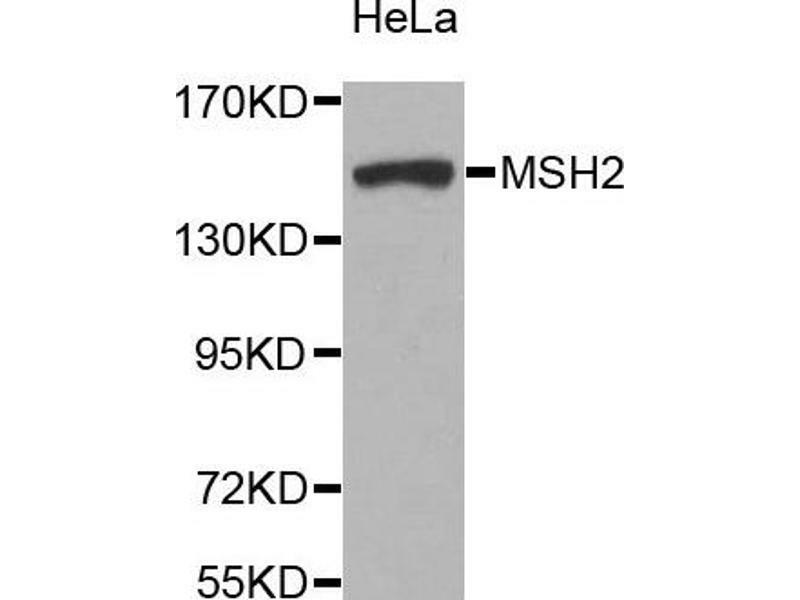 Western blot analysis of extracts of HeLa cell line, using MSH2 antibody. 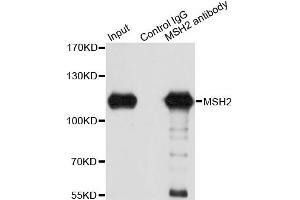 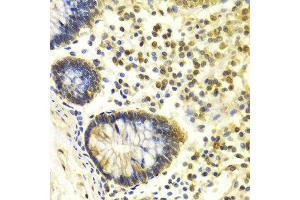 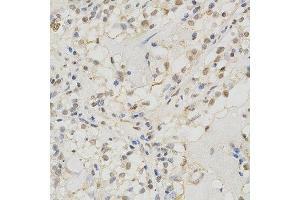 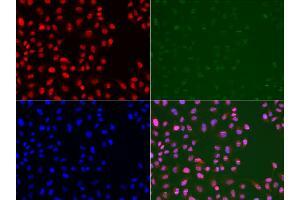 Immunofluorescence analysis of U2OS cell using MSH2 antibody. 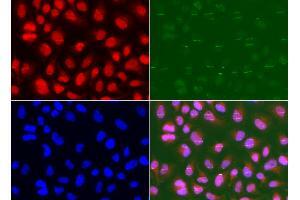 Green：BRCA1 used for DNA damage marker. 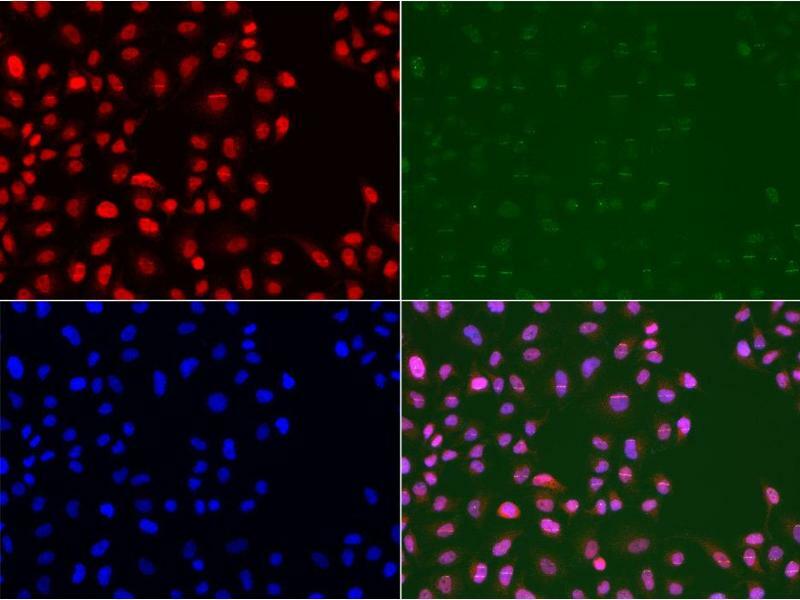 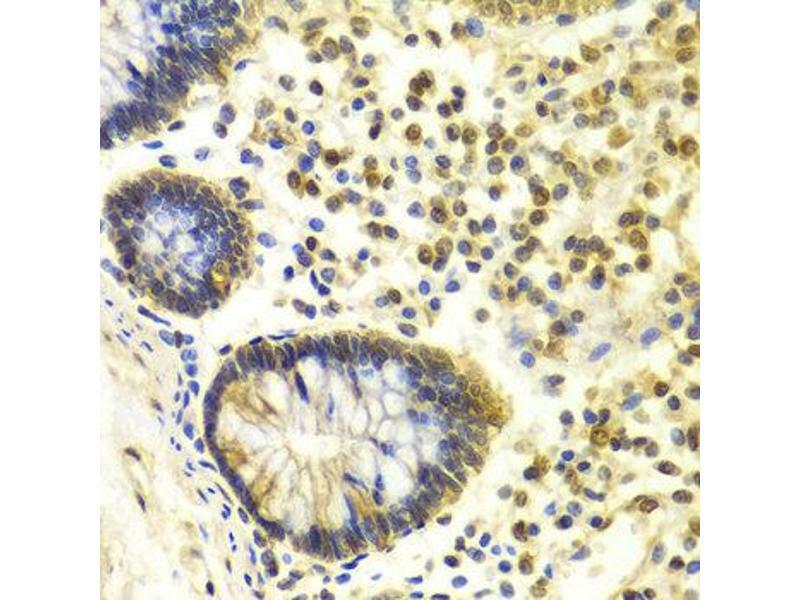 Blue: DAPI for nuclear staining. 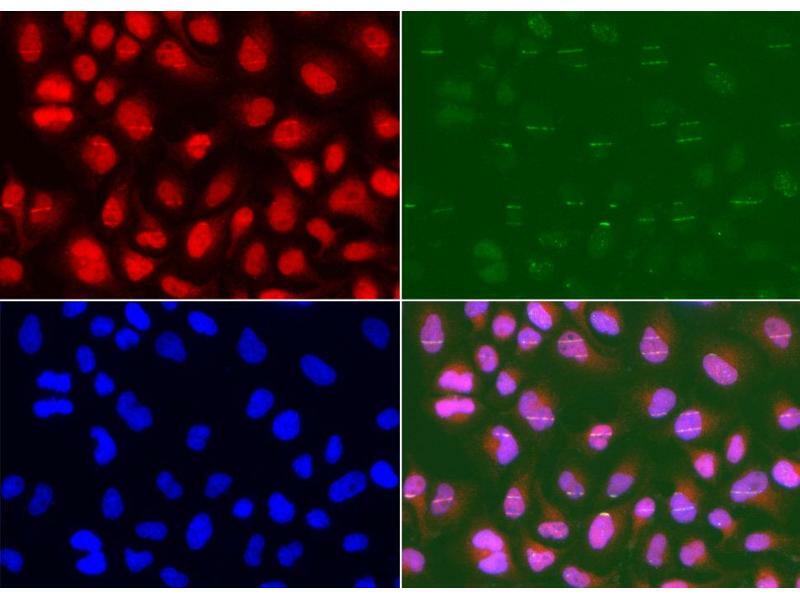 Cells were treated by UV-A laser. 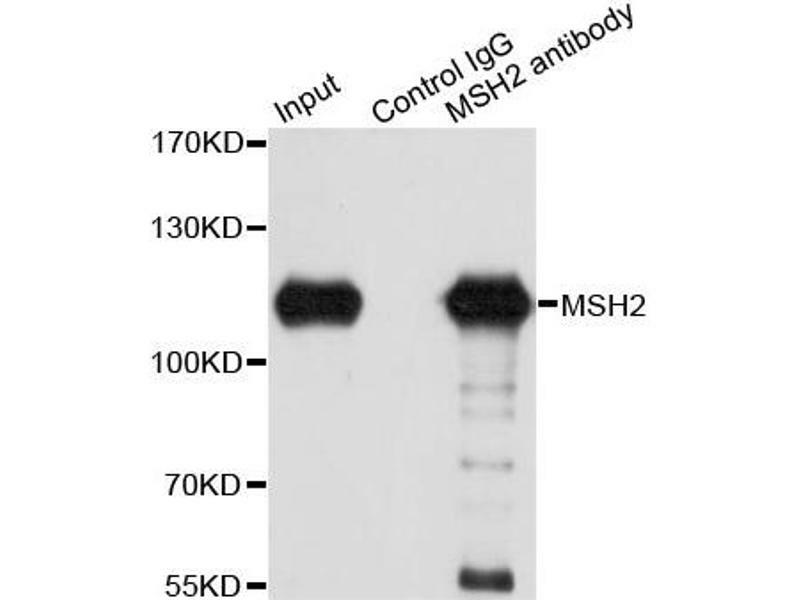 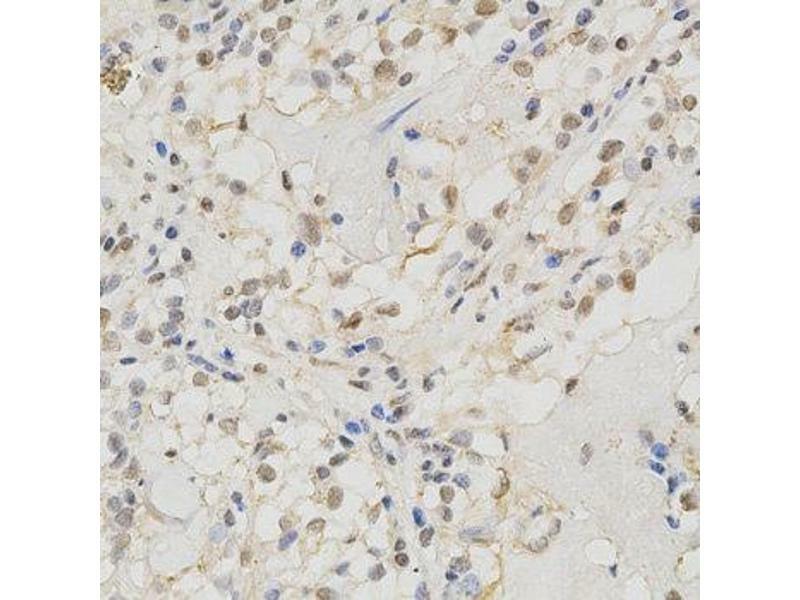 Immunoprecipitation analysis of 150ug extracts of A549 cells using 3ug MSH2 antibody (ABIN1873751). 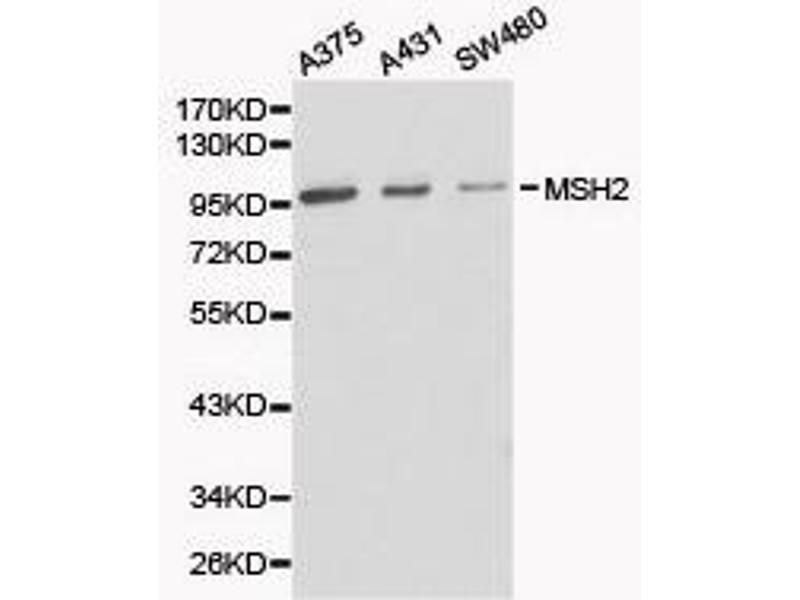 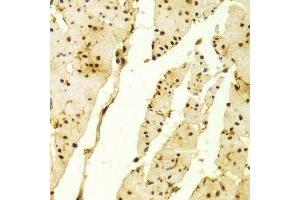 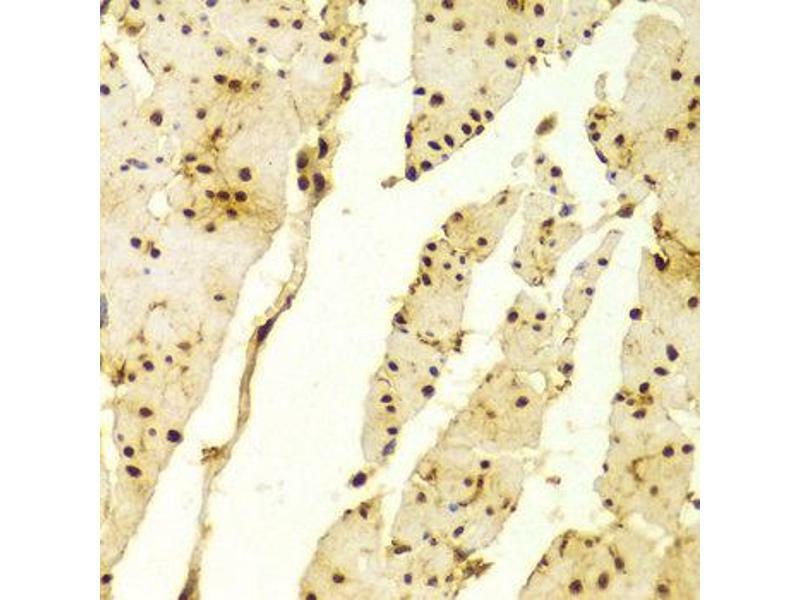 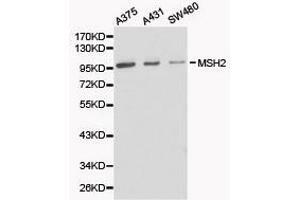 Western blot was performed from the immunoprecipitate using MSH2 antibody (ABIN1873751) at a dilition of 1:1000.